So it has been raining for something like 5 days. And I am growing mold on my person. 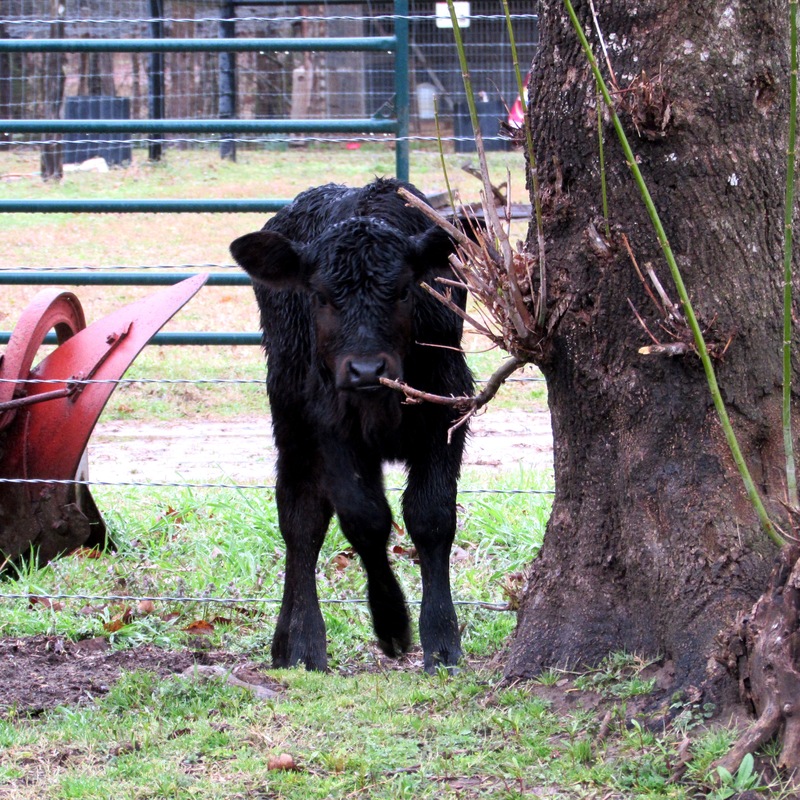 The horses are safely tucked inside the barn and the calves found a gate left slightly ajar Sunday afternoon. They made a run for it. First they all ran right…. 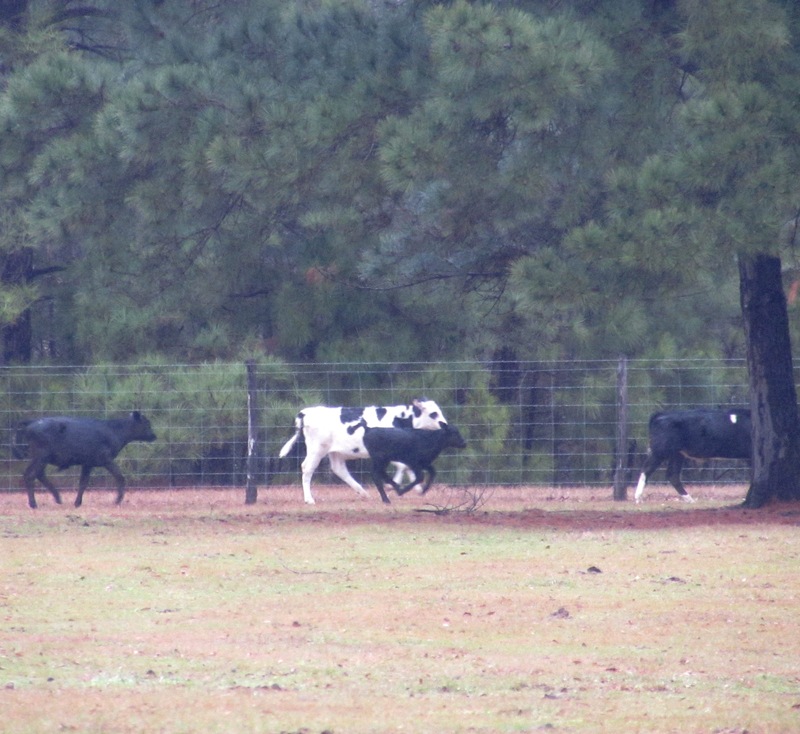 Then they all ran left…..
Then they all ran towards the gate to the barn. At this point I realized was the barn gate open. So was the one going to the road. 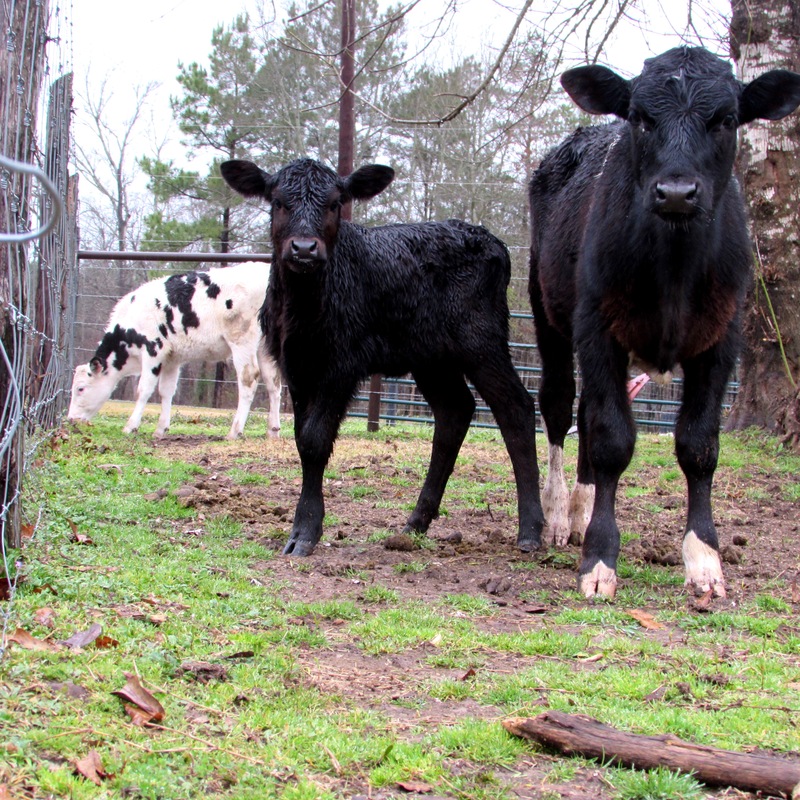 I proceeded to run wide open in my striped grey flannel nightdress, sporting green muck shoes and a pink umbrella that won’t stay open, to try and beat the calves to the gate. 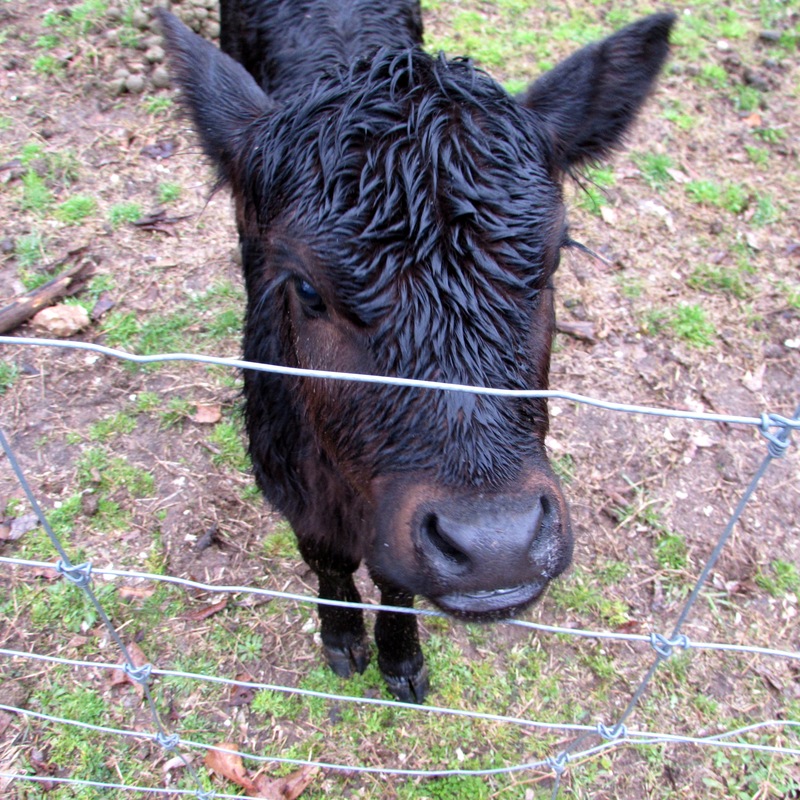 I ended up having to chase the little buggers around and about in the rain, splashing mud and rain all over my bare legs. I’m sure I was a sight. 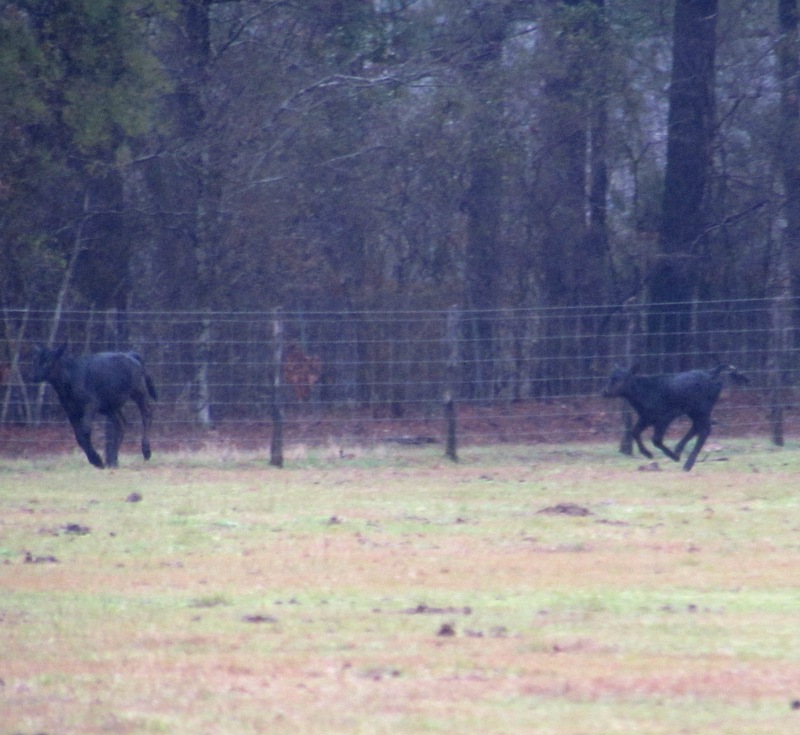 Finally, they all were safely back inside the pasture. Rachel looked guilty. Little rascal. WOW, smart cows! If I was one of your cows I would get together with the others and make a break for it just to see mama run wide open in her striped grey flannel nightdress, sporting green muck shoes and a pink umbrella that won’t stay open on a rainy day! Dang, wish I was one of the herd! I know they are still chewing their cuds and laughing! Happy cows come from California as the commercial says right? 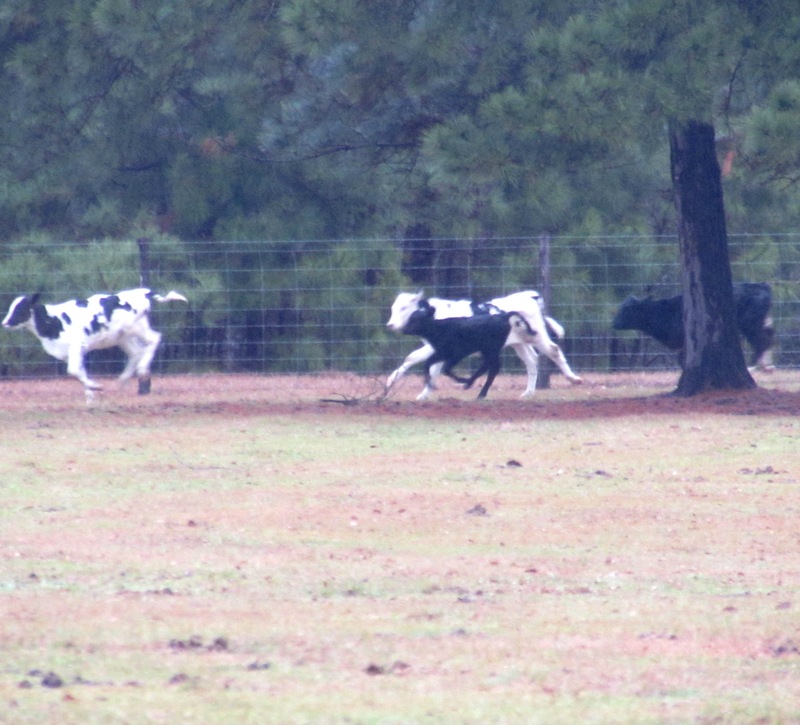 No, happy cows are in east Texas too! And that’s no bull!!! lol, I never thought about how I must have looked to them! Poor dears are forevermore traumatized!